This is, in a small way, a momentous occasion. 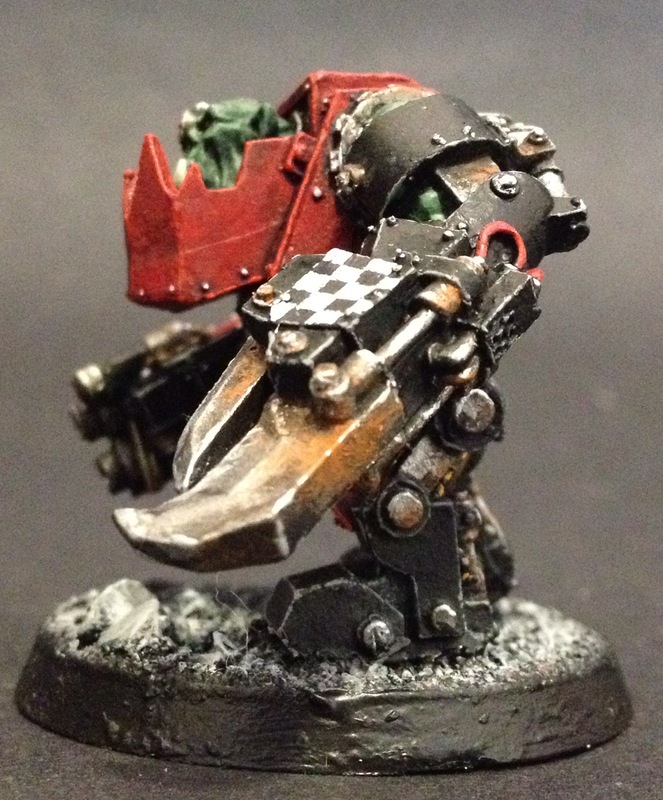 This is not only my first commission job (being paid in beer), but also the first ork that I’ve painted in 20 years! 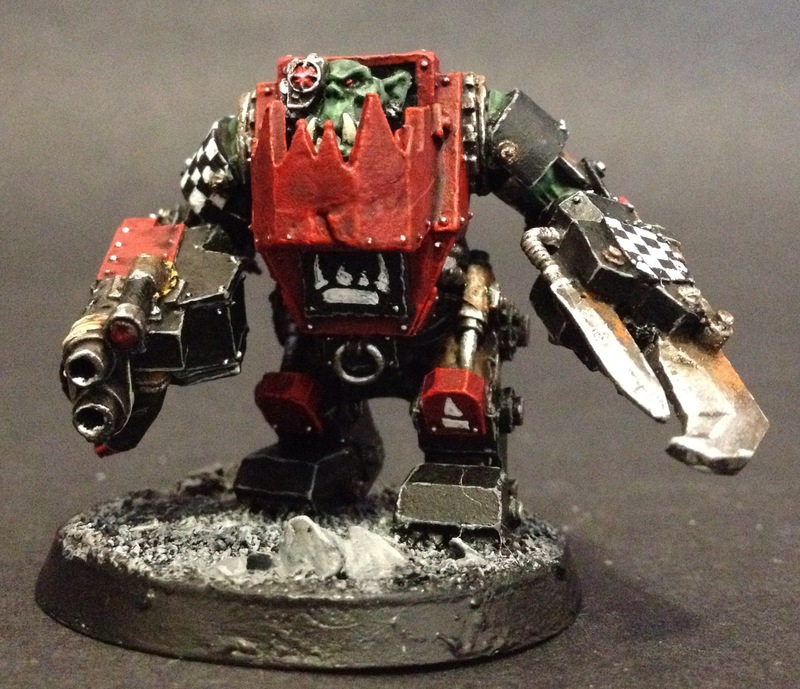 So, without further ado, let me introduce you to the first of five Ork Meganobz. 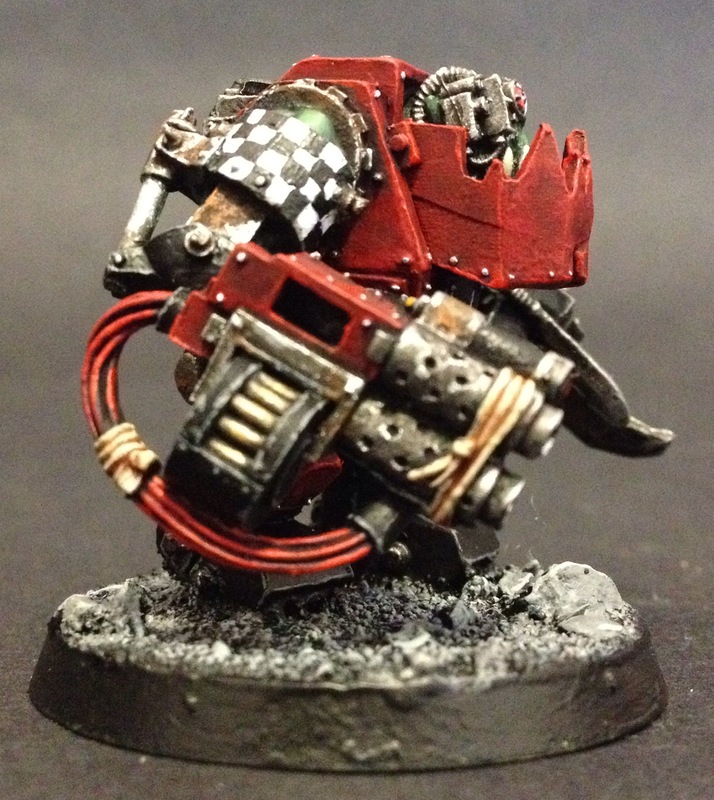 I had only a couple of instructions – a bit of rust, red and black and urban base. So that’s what I worked to, and I love the results. 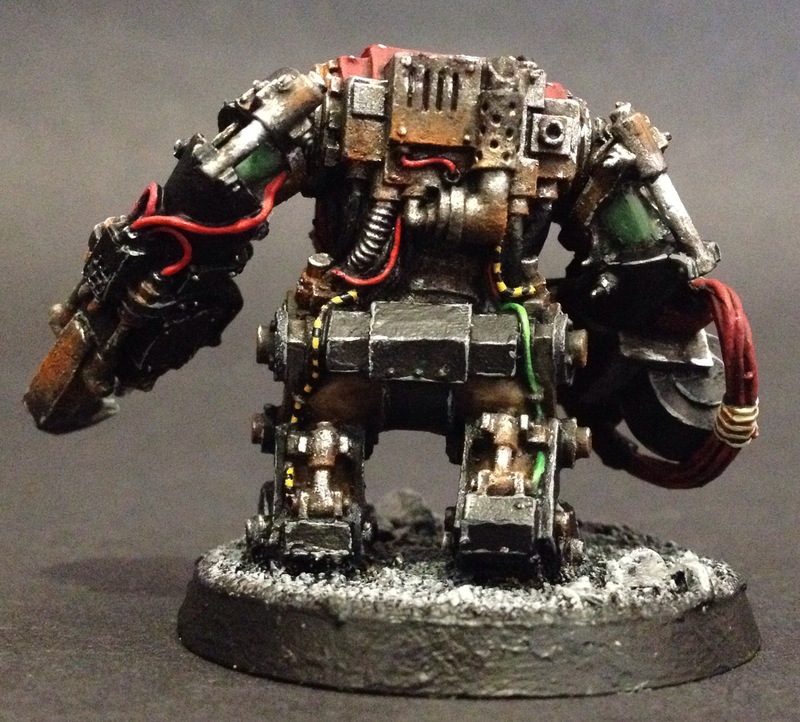 The klaw shows off the rust, but the rear of the ork got plenty of corrosion work too. It’s a base of Leadbelcher, washed in Nuln Oil fading into Typhus Corrosion, brought back with some more Leadbelcher, a light flicking of Ryza Rust and then edged with Runefang Steel. I love the results and am looking forward to doing more with it. I’m really happy with the checks, the yellow/black wires and actually the ork skin too. My buddy wants them to have differing skin shades of green so I’ll work out some different techniques and if I hit any particularly good or unusual ones, I’ll post them up here. So it’s on to the next one. 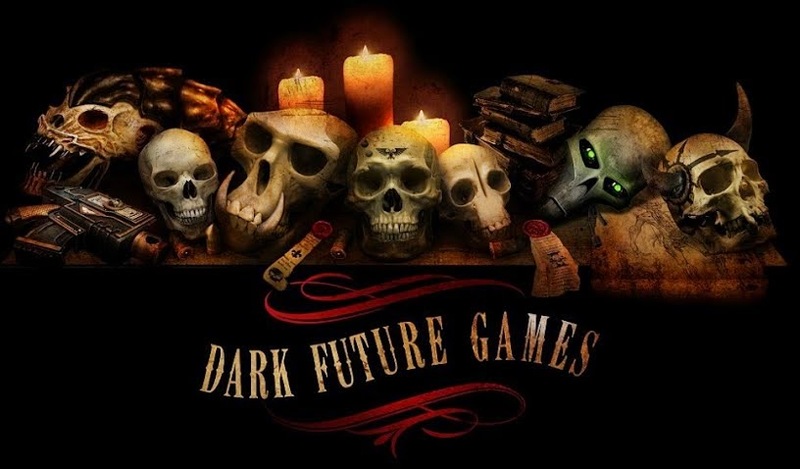 More orky goodness, pictures and words coming your way soon – watch this space. This mini was undercoated with a light/dark blend, painted using citadel paints and I used Citadel and W&N brushes on this him – here’s one last shot for you to enjoy. Onwards!